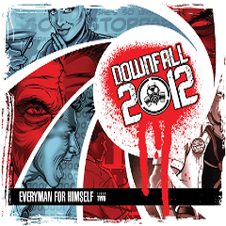 American metal/Punk trio DOWNFALL 2012 will release the new EP "Everyman For Himself: Issue 2" on July 20th. This is the second part of a concept record and contains of 6 tracks. All members play giant vocal roles while pounding hard technical musical licks, riffs, and rhythms on each of the 6 songs. The story has been broken into three separate releases. Each part comes with a comic book to illustrate its position in this broad and vibrant story. 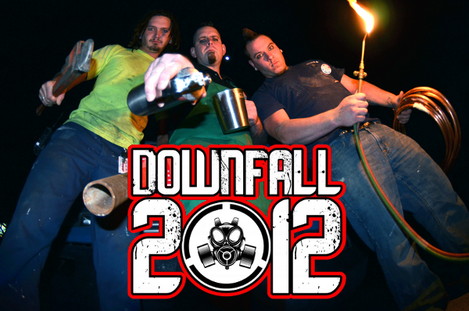 We have featured DOWNFALL 2012 with "Issue 1" on ROCK OR DIE Monthly in April 2013. "Issue 2" is technically the climactic point and is charged with an overall "driving" and "aggressive" feel with moments of quiet and melodic pieces that tie this sonic landscape together. The CD Release Party will held on the same day at the House of Blues in Houston, Texas and will be available on CD Baby. See more band info on our site.